Kureyon remainders from another project. Ladies medium, but I knit 13 rows on the thumb prior to the decreases, rather than the 10 rows called for in the pattern. 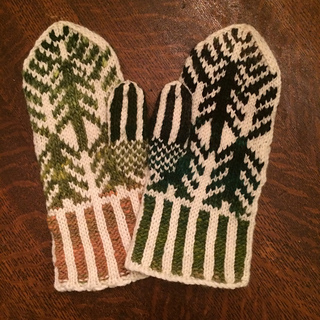 The right mitten, I forgot to just knit the first row of corrugated ribbing, so you can see the white on the purl portion. 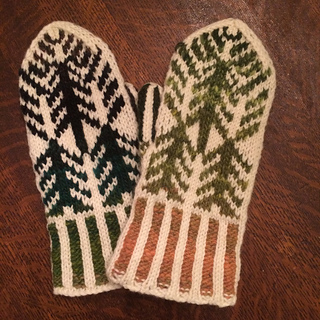 Left mitten was the second mitten, so I improved. !